Dear Gurudev, how can I keep my ego and anger from hurting others around me? Listen, if your are sensitive and your intention is not to hurt anybody, that is good enough. But sometimes in spite of your being so cautious, some people get hurt. There is nothing that you can do about it. Some people feel that anything you say will hurt them. You compliment them and they think you are taunting them. You give them an honest feedback and they think that you are cruel and rude. So there are some people who are in that mindset, they may feel upset anyway. If you invite them for a party, they are unhappy because they think you are showing off. If you don’t invite them then of course, they feel that you don’t care for them. What do you do! So, you don’t worry about it. They have to deal with their hurt. From your side, you don’t use harsh words. From your side be courteous. From your side be caring. That is all you can do. Don’t worry about what is going on in their minds because there are millions of people around and their minds are all going in different directions. You have no say over it. You cannot make everybody happy. If two people don’t like each other and you talk to one of them, the other becomes your enemy automatically! If you are simply talking to one person, that can irritate somebody else because you spoke to them. And that is what is happening in the world today. What is happening in Gaza? If you show sympathy for Gaza, or say something about it like, 'Oh it is wrong, so many children are dying', then Israel will get upset with you. And if you say, 'Israel is right', then Gaza will get upset about you. What do you do? That is why in this world you can’t make everyone happy. You listen to your conscience and see to the maximum extent that from your side you have no intention to hurt anybody. That is good enough. You cannot be football of so many people’s emotions and feelings. what they feel what they don’t feel. There is a saying in Sanskrit, 'There is no giver of happiness of misery. You create your own happiness and you become miserable on your own, and nobody can stop you from being miserable'. That is what I am sharing with everybody!! Your connection with the Self, your connection with the source of energy. You are always connected with it, and that’s it. 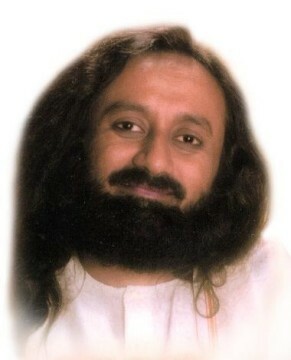 Gurudev, how to stop nuclear waste? Currently, the whole ocean and slowly people are getting impacted due to the accident in Japan. How can we stop this? You know our oceans are dumped with so much garbage, so much garbage that you can create another continent out of it. They say, off New York coast, the ocean is not an ocean but it is just a garbage dump. You can create an island, a big continent from it, that much waste is being dumped into the ocean. That is why recycling is so important today. We should be environmentally conscious. Ask everyone to use lesser and lesser plastics, and be kind to nature. If you go to the tribal areas where native people live in Africa, Asia and South America, you will see how their villages are so clean. There is no garbage at all. If you go in the forest, no animal dumps garbage. You can’t find carcasses or dead bodies lying around anywhere in the forest. All the animals know how to keep the forest clean. Nature knows how to maintain the forest so clean. Tribal people know how to keep cleanliness. It is only the so called civilized people; we use so much and we don’t recycle things as much as we should be doing. And we dump a lot of garbage, that too non-biodegradable waste. This is a matter of concern. We all should be concerned about it. 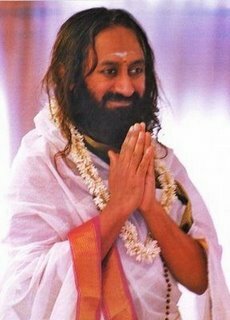 Dearest Gurudev, there is a constant running for importance and recognition in my life. Most of my decisions are based on this. Recognition has been my major motivation in whatever I do including seva. Please advise. It’s good that you recognize your weakness. Once you have recognized it, you are already coming out of it. Next time you do seva, tell yourself, 'Okay, I am going to do seva but not tell anybody about it'. In India there is something called as a secret gift. When you gift something it is called as a 'Gupt Daan'. It means you have given but didn’t tell that you are giving. Quietly you give. You donate but you don’t even want your name to be put on the name plate which says that so and so donated this. When you quietly give, it is called Gupt daan. What the right hand gives, the left hand also does not know. So, people used to take pride in that. You also take pride in the same thing. At least one time or two times do some seva for which you are not expecting any recognition. This act brings you so much joy. Once you get the taste of that act which is purely seva, you will find it so blissful, so interesting that you will want to go for it again and again. So, if not all the acts, at least some acts you should do without wanting recognition. 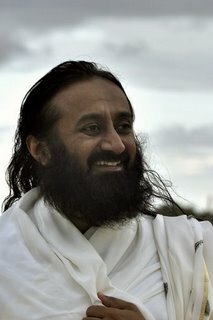 Dearest Gurudev, some young people I know use Marijuana and say that it is their spirituality which helps them connect to different realms. Please speak on the long term effects of Marijuana use. Marijuana use is the most horrible thing one can do. You know it can give you a temporary effect of an elevated consciousness but it destroys the body. It destroys your nervous system. It is very bad for your physiology. Though I have never tasted, but people say they got some elevation after having it. But this elevation doesn’t show up on their face. They still look so dull. If you have experienced bliss like we do in meditation, then you will glow. Look at everybody’s face here, they are glowing. There is joy radiating, there is love oozing out of people’s body when they experience meditation or a higher state of consciousness. But we don’t find this in people using marijuana. Instead you see that they shrink, they look so sad, depressed and sick. It is a crime you are committing against your own body. You know, it’s the same whether you commit a crime against someone else or your own body. Marijuana is an assault on one’s own body. It is not the right thing. It may momentarily give you some high, but my dear, why do you want to go for that? You do meditation, go for higher energy. In meditation you get higher states of experiences, which makes your body strong, your mind sharp, and your heart compassionate. It makes you very healthy and happy. Why not go into this rather than marijuana? Substance abuse is a crime against one’s self.